How? Was my first reaction and why on Earth? My second, after a few sarcastic comments about my friend being high. When it was explained to me, I felt as though I had been a little ignorant until now to the real issues we face, not as a nation but as a human race. After learning more about the idea of an RBE, first created by Jaque Fresco, my eyes were opened. The sheer amount of coverage, videos, short movies already on YouTube and millions of other sites was astounding. I wondered why I had not heard of this before now. The cashless society, as crazy as that initially sounded, was not so preposterous after all and even answered most, if not all of the global crisis problems. So there I was feeling a little sheepish when I realised I had been wrong to laugh, but equally intrigued as my mind raced with possibilities. If you really consider the monetary system and how it has affected us as a developing race of humans, it is “the route to all evil”, no I am not about to go on some religious spat so hold on! If each country were to ditch the monetary system, we could all simply share and help reproduce our resources. We, as a planet, would all receive the best medical care and medicines. For as long as we have had modern medicine, the governments have been making money from our ailments and treatment needs. Countries are without and people are dying because it is not available. In other countries, they simply can not afford it. Imagine living somewhere knowing there is a free cure for a deadly virus in another part of the world but you just so happen to be born elsewhere. Now imagine that every medicine was routinely transported in abundance to every part of the world…. The latest technology would be shared to further develop each country like hubs that communicate and help one another. There would be no government secrecy, no holding back. No regulations on inventions that solve climate change issues (because there have been many). The sky is the limit! or perhaps it wouldn’t be, as we would open up much more opportunities to discover outer space and other planets. All dishes from around the world would be available to everybody, visitors welcome and travel and food always free. All the latest mobile phones and electronic gadgets could be printed off in your own home and you could recycle your old gadgets back into the printer. The possibilities are endless. No more landfill. No more selling us mobiles and tablets that are built to break. No more consumer based market. Things will be built to last. We will develop our technologies at the speed we are actually capable. Education would be in the subjects that interested that particular person and would be free at all ages. Imagine all children getting a good basic education like in our kindergartens, nurseries and preschools today, then they could go on to select the subjects they want to study from there. Productivity and concentration on a subject increases considerably when an individual enjoys the topic to start with. People who were passionate about something would take a job in that industry and would be working for social status. The first question I have been asked when talking about The Money Free Party, has been along the lines of “who would bother going to work if everything is free?” Well, my answer is always the same, I know I would be bored stiff and need a project to get stuck into. I would also not want to look lazy and without any interests. I would want social status and people to respect my contribution. But the truth is, lots of people would just think it’s great to stay home and enjoy their family or hobbies. And that is ok! because we only need a small percentage of people to actually contribute a little and our technology will take care of the rest. Right now, 80% of all manual labour could be replaced with technology. People have been spending the best part of their adult lives literally breaking their backs, causing long term health issues that they are then nursing during their “retirement”. Demolishing manual labour would mean this would never happen again. It saves time and energy which are two things we waste way too much on working manual labour today. People would no longer spend the largest part of their lives slogging away to cover their life expenses. Humans have limited time as we are all too aware, the years fly bye so fast! If we just worked minimally and spent more time with those we loved or doing the things we enjoyed, we would make so many more happy memories. Housing for every person could be printed and assembled with the technology we have today. With today’s 3D printers, we can print off pretty much anything, houses, apartment blocks, there’s enough space to create new housing, enough to house every human on the planet hundreds of times over and still have space. overpopulation is true of some cities because of the monetary system but completely fabricated in terms of world overpopulation. We could use all of the plastic and material waste we have sitting in dump sites to create the housing with the printers and recycle what we take down. a project for the UK only, would take just 10 years to complete. A much easier transport link that emitted no fumes would cut out air pollution. With electric cars and vehicles replacing all petrol or diesel engines. Imagine our cities are built In a way that all apartments, shops and restaurants are easily accessed and faster than our current system as it does not allow traffic and is ran on electricity. 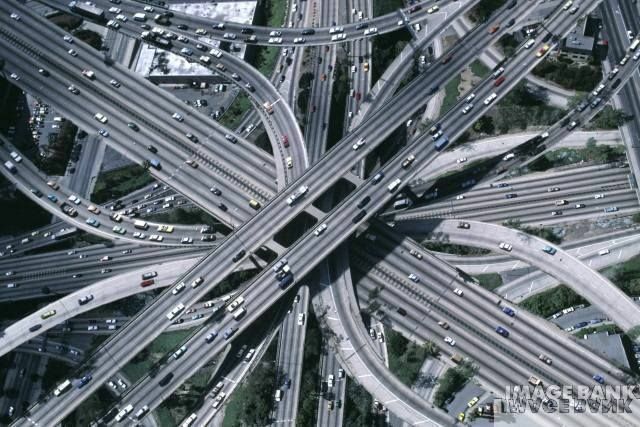 cars and vehicles could travel from city to city or into the country side with no hold ups on spaghetti junctions. Less people would be driving, the transport link will be so convenient. We would begin to reverse the damage we as a consumer and monetary based economy world, have done to the very Earth we live and depend upon for survival. If we made our communities with our Earth in mind, nurturing it back to life, our resources like food and water would be even more abundant. It is simple math, we have this much earth to house this amount of humans and the rest should be flourishing. By using Aquaponics we can farm vertically to save more precious land. Even our endangered species would stand a chance if we gave back the environment we have so far stolen and destroyed. War is based on greed for more money, more resources to get more money, more land to make more money more tax etc. With a society based on equality with the vision that every human is entitled to the Earth and what we humans have created and will create in the future. An ideal world to live in, no war no politics, just ideas and sharing. In turn, there will be no more armies, no more young soldiers going off to die for the greed of a country’s government. Not knowing if your child, partner or family member will return alive or traumatised and changed by their unnecessary experiences. Racism and racial hatred would have no place once war was abolished. We could reconcile the races and embrace other cultures with intrigue and new understanding being something we teach to the next generation. Replacing the stereo-types and deep routed racial issues with enlightenment and a modern equality. Remember this will not “cost” because the world could share all resources. Why do we not have this all available to us now? Even when it is possible? Why do we have starving people in the world? Why are people dying of diseases we have already abolished in the West with medicine we have lots of? What do we want for our children’s future? War? Struggling to buy a property in their lifetime? Giving away their best years to do that? Or freedom to travel to see the world and have access to everything they could possibly need? The only way to make a movement like this start to materialise, is going to be to start a political party that offers the majority the option to stop working their lives to feed the minority. The elite may be powerful but the rest of us would be unstoppable if we came together. If we chose to go RBE and we helped the rest of the world get on board by setting the example. We will go into the benefits of each of these points again, today I have barely touched on the subject here and there is so much more to find out! There are many different projects and ideas for funding an experimental resource based economy community that will function, essentially, as a miniature moneyless society, as far as the members within the communities themselves are concerned. There is One Community Global, which is already far along the way to creating workable blueprints of several different transitional communities, which will derive a profit from tourism and other services. There is the New Earth Project, (now renamed New Earth Nation) which is doing something similar, as well. You have the Seasteading Institute building floating cities. The Venus Project is making movies about what it would be like to live in a resource based economy, The Zeitgeist Movement just finished a book about their movement, which maily concentrates on promoting awareness of the subject. RBE 10K wants to build an initial resource based economy transitional city of 10,000 people, with the initial volunteers funding the project themselves. I will be writing up on individual and group activists who are pushing for this transition and keeping you up to date on their progress. Please direct your questions to imacountrymember@mail.com I will respond promptly and welcome new groups and individual activists who would like to be featured on this site. Check out the following videos where I found most of my information, there’s a lot to consider but there again, considering how easy this could be, isn’t it worth a little thought? Here is a link to The Money Free Party Global YouTube site, subscribe and follow the movement if you believe this would be an ideal society. If you believe it will never happen because of the Elite holding firm control, then still stay true to your needs and vote for what would really work.